This is 22 Winchester Automatic Aguila 45gr. 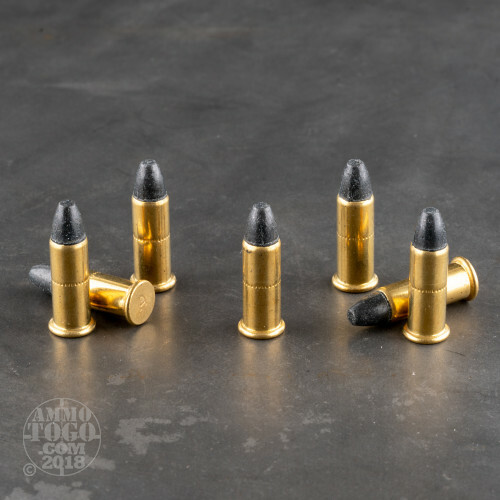 Lead Nose smokeless powder cartridges for Model 1903 Winchester rifle. 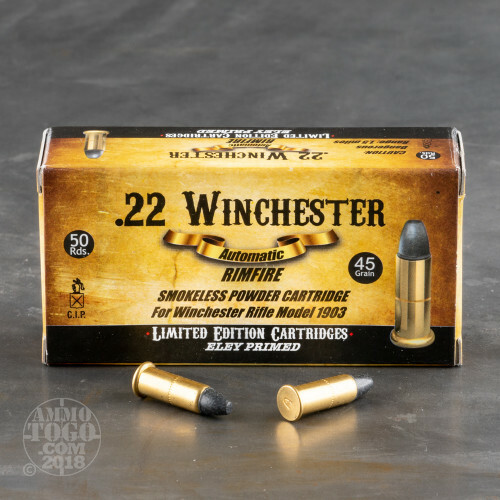 This ammo is rare and we currently have a small amount to offer to our customers. Don't miss out on your chance to buy some while it is available! This ammo comes packed in 50 round boxes. 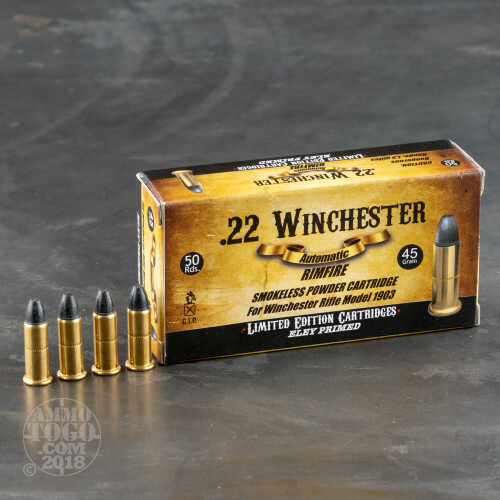 This ammo is made for the Model 1903 Winchester Rifle only and will not chamber or fire correctly in any other .22 rimfire model. Runs 100% and burns clean in my Winchester 03. It's not cheap but it's the only game in town if you want to shoot these old contraptions, and the fact that it works very well eases the pain considerably. Had no issues with the order process and as others also said, Ammo To Go shipped quickly. I'm buying some more! Ammo got to me quickly & in fine condition. Haven't fired any yet but I'm sure it will be ok. 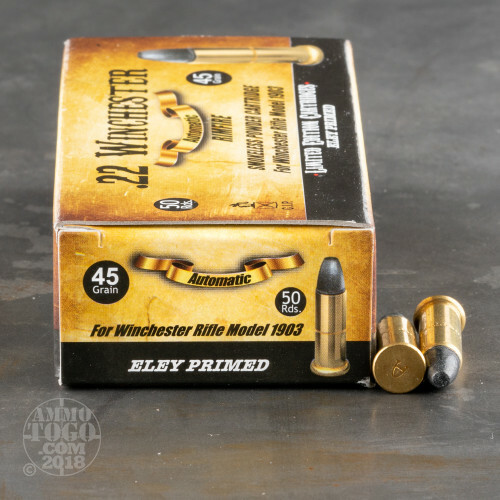 This ammo works well in the Winchester model 03. Only 1 failure to feed in 100 rounds (could have been a gun issue). I ordered this hard to find ammo and it got to me really quick. It was also lower priced than the other two sites that had it. I was very satisfied and would not hesitate to buy from them again. Great service. Ammo was promply delivered.